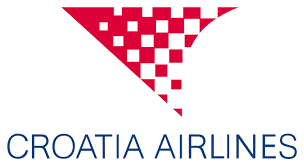 Croatia Airlines is a stated owned company, national carrier of Croatia. It serves 27 destinations with a fleet of 13 aircraft out of its hub at Zagreb Airport. Croatia Airlines is member of Star Alliance. Both flights were done with propeller planes, which are very noisy, but apart from this everything went excellent. Flight from Skopje arrived 10 min early and there was bus service to the terminal, once there the transfer process was quick and the time of 1h was absolutely enough. Zagreb airport is very large and not so busy.